Resource allocation decisions made by school boards, principals, and teachers are critical for they determine the adequacy and equity of resources actually made available for specific schools, educational programs and individual students. The most important resources are often concealed by aggregate state or district measures such as dollars per student. For these decisions, the most important resources are elements such as basic and supplemental staffing levels, staff time, funding amounts for textbooks and supplies, selection of new equipment (particularly technology), and support for new or renovated facilities. The authors review current practices at each important decision-making level in school districts, from the school board to the classroom. At each juncture, the findings are interpreted to reveal both the causes of the practices and their implications for improving school effectiveness. 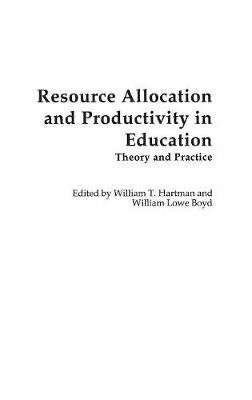 This book provides new research in helping to inform and improve resource allocation practices in schools. The general conclusion is that improvement in the resource allocation practices in education requires a shift in focus to results instead of inputs, a strong emphasis on student learning as the primary focus of decisions, and systematic evaluation of results.